Brain cancer treatment. 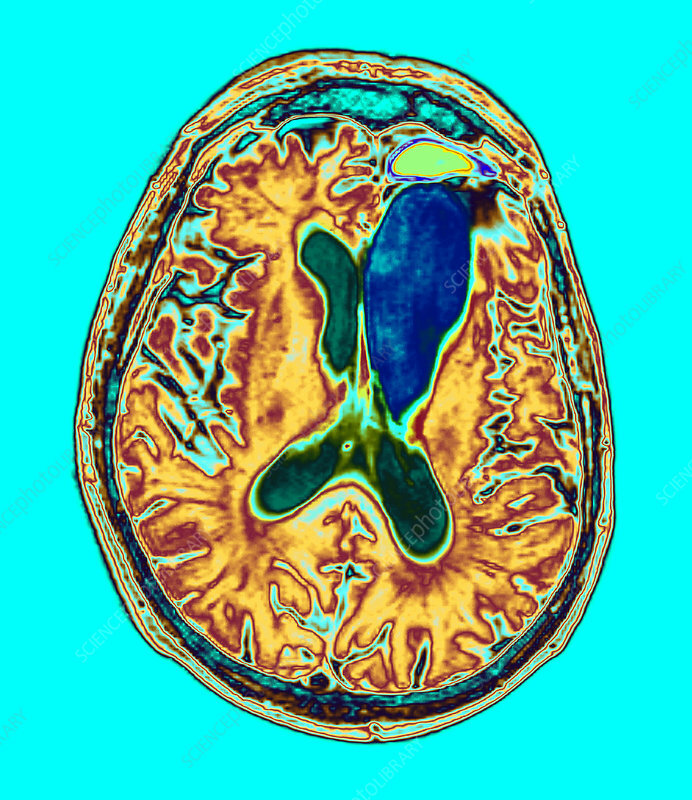 Coloured axial magnetic resonance imaging (MRI) scan of the brain of a patient who was treated for a glioma, a cancer of the brain. The front of the brain is at top. The scan has passed horizontally through the brain and revealed the ventricles (green, centre). The front of one of the lateral ventricles (upper right, blue) is enlarged. It is thought that this is a side-effect of the radiotherapy treatment, where the ventricle enlarged into the space left behind as the glioma shrunk. A remnant area (green) is at top right. The ventricles store and circulate the brain's cerebrospinal fluid.